A straight up and down short, steep fell race. One checkpoint- the summit of Pen Cerrig Calch. No other course markings. No map supplied. The race starts and finishes at Ty Mawr Farm, near Llanbedr village. See below for location map. 2019 Welsh Championships and South Wales Series. Teams free (3 to count). Helen Brown and Mynydd Du. 5.5 km (3 miles), 450 metres ascent (1500 feet). WFRA other classifications: LK (Local Knowledge advantageous) / PM (Partially Marked). Start and finish is on private land and is marked. Waterproof whole body cover (with taped seams and integrated attached hood) + hat + gloves + map of the course area + compass + whistle + fell-running shoes. This maybe relaxed on the day at RO’s discretion. The use of music/sound equipment that restricts hearing is prohibited. 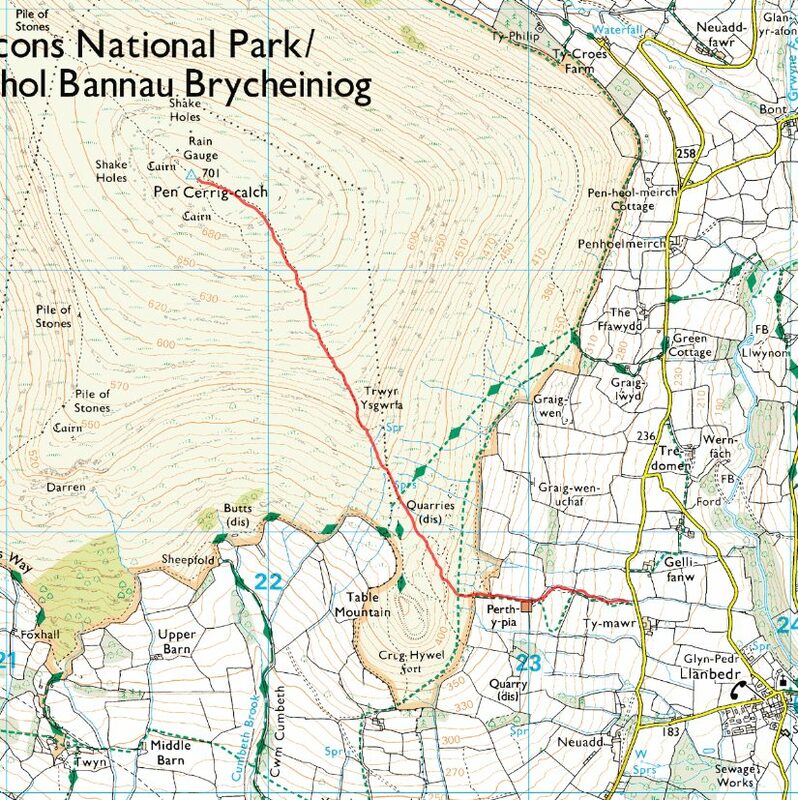 The race is new to Mynydd Du, but we'll publish any we find here.